The IRA’s political wing, Sinn Fein, have continued to increase their rhetoric and whip up Brexit tension, in order to bully and threaten their way to ‘special status’. The recent threats of ‘civil disobedience’ by Sinn Fein are a new variation of the armalite and ballot box strategy. Dire warnings have been issued about the potential for a return to violent conflict, yet none of those expressing such fears have been able to explain just who exactly wants to engage in such violence? The purpose behind all of this is clear. It operates within the tried and tested parameters of the peace process and has seen concession after concession lavished on the republican movement, as a ‘reward’ for a cessation of their reprehensible terrorist campaign. It has a very simple formula. Sinn Fein raises the potential for violence or a vaguely alludes to a ‘return to the past’. This, they believe, will be enough to ensure that the concession meter is fed yet again in order to prevent such a potentially dangerous outcome. This formula shapes politics to appease the terrorists. It is the very lifeblood of the Belfast Agreement. The political ‘process’, set in motion by the Belfast Agreement, is cleverly entwined with peace in order to provide a linguistic phrase that best provides a warm and fuzzy feeling- the ‘peace process’. This naturally leads the hearer of such a loaded phrase to assume that you can not have peace without the process, and as such almost anything is justifiable in order to protect the ‘peace process’. It elevates the Belfast Agreement to a mythical status and seeks to place it beyond challenge or criticism. It is seen as political suicide to date question the ‘process’, because that must mean that you are opposed to peace. Such is the emotional blackmail spawned by the ‘peace process’. IRA terrorists saw such advantage in their threats for concessions formula that, for tactical reasons, they decided to move to a new phase of ‘struggle’ and desist from their campaign of murder and mutilation. The new phase of struggle is therefore denoted by nationalist political demands, which must- in their minds- be granted in order to ‘protect the peace process’. The latest nationalist demand is for ‘special status’. Sinn Fein have organised protests to press this demand, and one of their absent MPs, Chris Hazard, has threatened ‘civil disobedience’ if they do not get their own way. Of course the real purpose behind special status is to wedge Northern Ireland out of the United Kingdom via the back door. Nationalism has no objection to the UK to leaving the Customs Union and Single Market, but wants Northern Ireland to remain in both. This would therefore divorce Northern Ireland from the rest of the United Kingdom and would effectively place us within an economic United Ireland. It would be a key staging post in the republican movement’s harmonisation strategy. The demand for ‘special status’ demonstrates that the very constitutional integrity of the United Kingdom is under attack by an aggressive pan-nationalist coalition, which includes the Irish Government. Times have changed but the tactics have not. Sinn Fein used to press their political demands by planting bombs, in order to remind everyone of the importance of the ‘peace process’. They now threaten civil disobedience and hold street protests. And here lies their weakness. Even the most lily livered British Government would realise that Sinn Fein no longer realistically have anything to back up their threats with. That is why the question, ‘who would take us back?’, is so crucial. So it is time to unplug the concession meter. 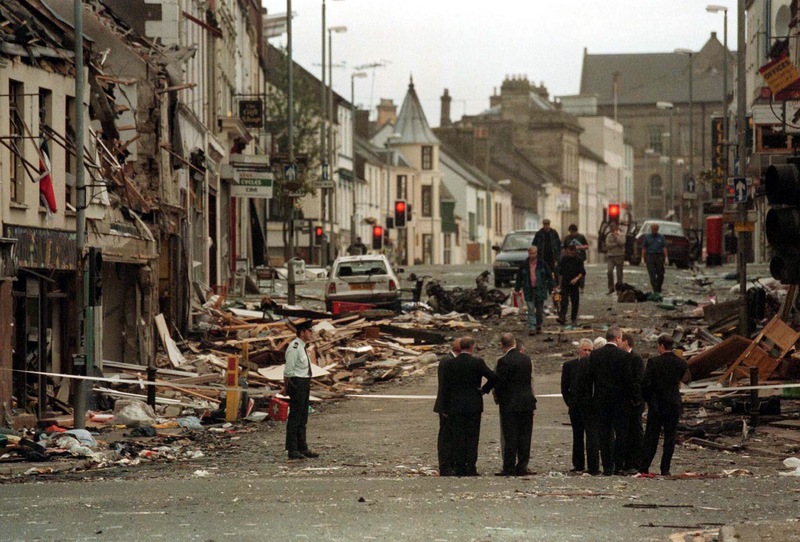 The tried and tested republican formula may have caused a weak and treacherous British Government to buckle and cave into terrorism under the threat of the IRA planting further bombs in England. 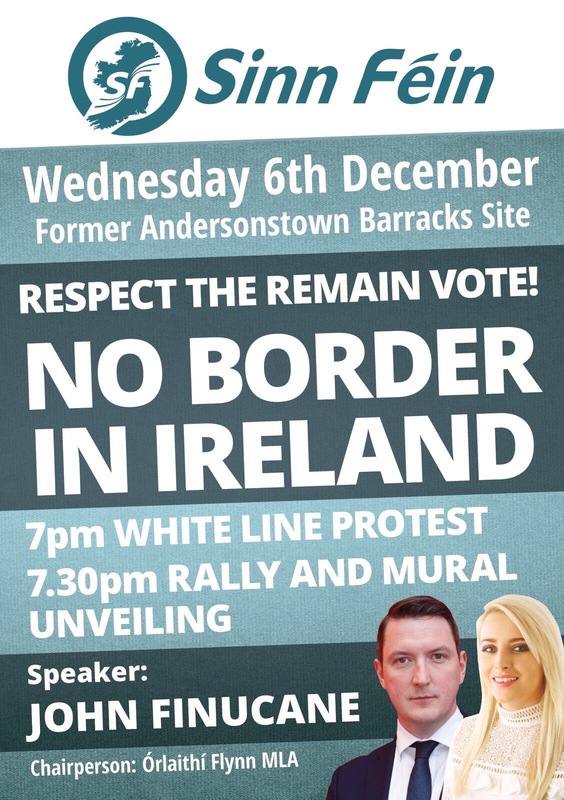 It is unlikely to work when the ‘or else’ is old IRA men in their 60’s waving placards on a white line protest, Martina Anderson screeching in the European Parliament or Chris Hazzard threatening civil disobedience. The British Government must stand firm against the same old republican threats and call their bluff. The emperor really does have no clothes. It is only the republican movement that is talking up a return to the past. There is no appetite or desire in the minds of any rational person for any violence whatsoever. So who exactly is it that would take us back to the past? 45 Responses to "Who would take us back? – Time to unplug the concession meter and ignore Sinn Féin’s empty threats "